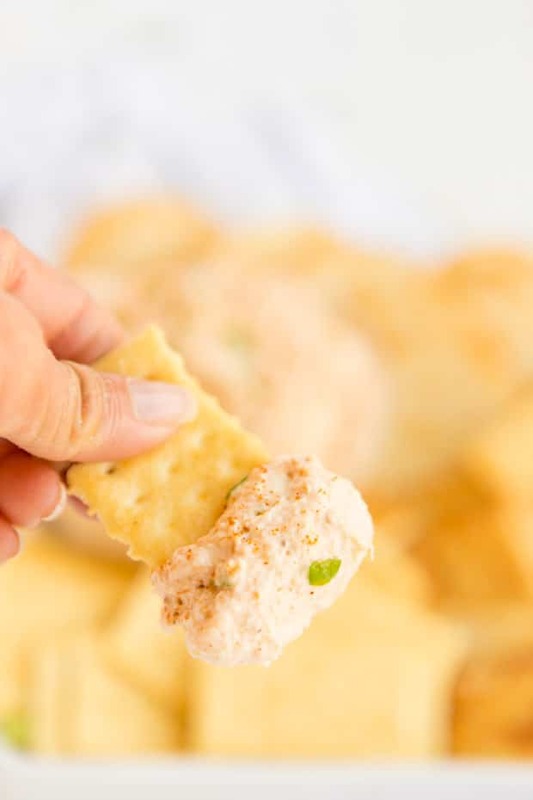 This amazing classic cold crab dip is a favorite appetizer recipe for us. It’s easy to create fresh, delicious homemade flavor with simple ingredients. Growing up on an island, I’ve always loved seafood and crab is a favorite for me. You can make this quick dip a little more spicy or try adding something like artichoke or spinach. Or you could make it Buffalo style. Lots of options for this yummy snack! 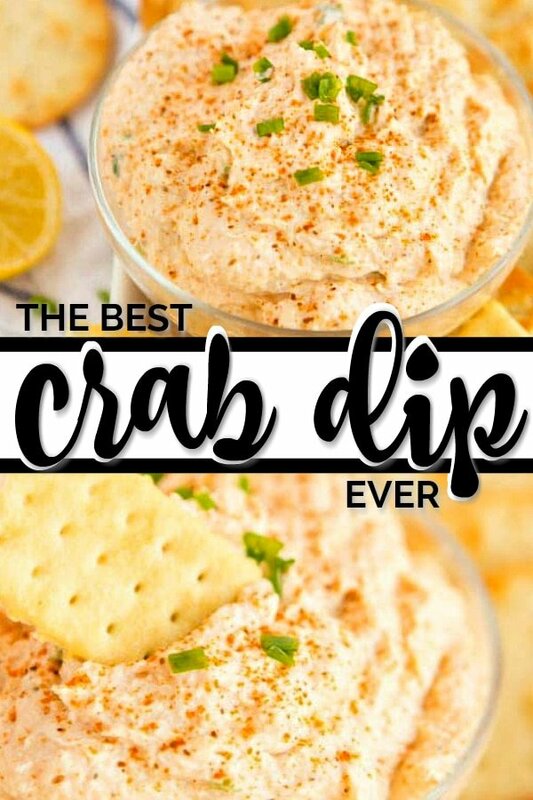 I’ve had several people tell me this cold crab dip is the best they’ve tried — I think you’ll like it as well. Let me tell you, it’s easy, delicious and quick. You’re going to love this cold crab dip. 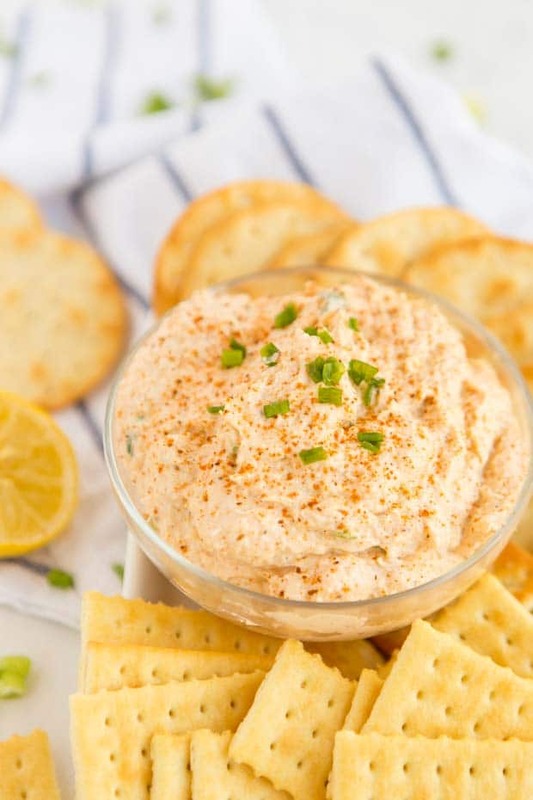 You could serve this recipe a number of ways: it’s the perfect appetizer for guests, you can make it spicy, or you could make it a hot crab dip by serving it baked. 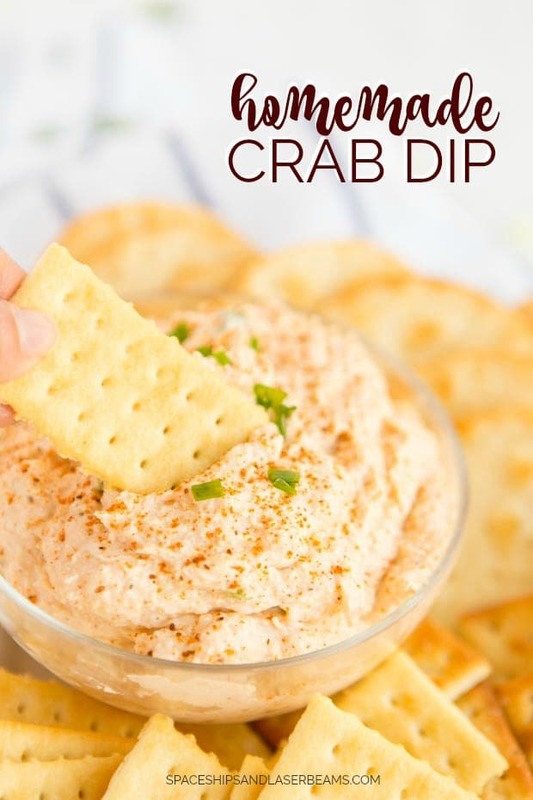 I have a friend who always makes a crab dip and keeps it warm in her crockpot for parties, which I think is genius. You could also add in other items as well like artichoke or spinach. Or you could make it Buffalo style. I like this Cajun style version because it reminds me of some of our meals on the ship. My spin on this classic recipe couldn’t be simpler, I think you’ll be pleased. In a medium bowl, combine cream cheese, greek yogurt, and lemon juice. Mix until smooth. Add crab and seasonings mix until everything is evenly incorporated and serve with crackers or your favorite veggies. Each time I eat crab dip, I’m reminded of the delicious food we enjoyed on vacation together. And of our quiet moments on our balcony. I hope you enjoy this crab dip recipe soon as well. Cookie Dough Dip – Great for Dipping Apples! 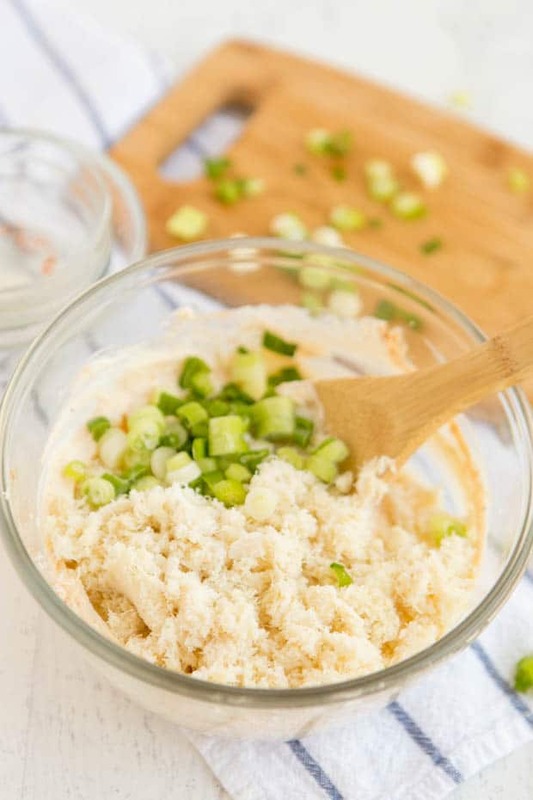 This simple, delicious crab dip is an appetizer recipe you'll enjoy! Add crab and seasonings mix until everything is evenly incorporated and serve with crackers or your favorite veggies! 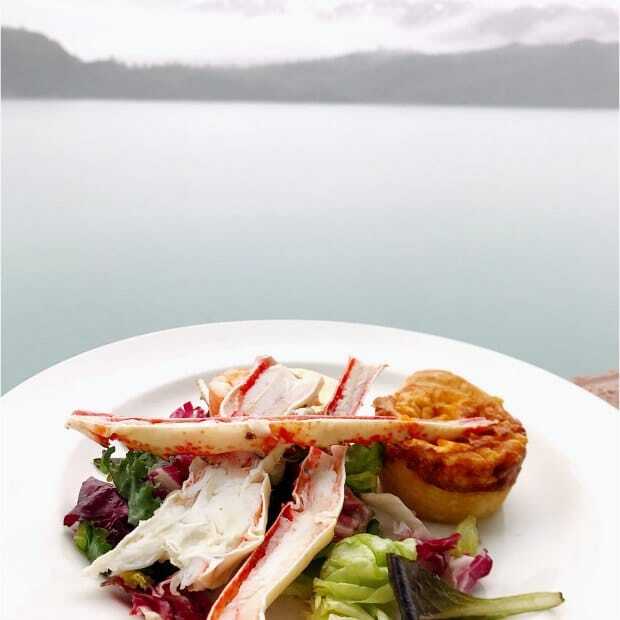 If you’ve been following along the last few days, you’ll know I’ve partnered with Princess Cruises to share memories from — and recipes inspired by — the trip Mike and I recently took to Alaska. This cold crab dip recipe was actually inspired by one of my favorite moments of our Princess cruise in Alaska. We were in Glacier Bay. It’s a trip to the “Ice Ages.” It’s a national park and completely awe inspiring. Not only was it visually stunning, you could hear the ice moving… it was such a unique experience, unlike anything else I’ve witnessed. It was mind blowing to be sitting in our room, looking out our balcony and see this natural phenomenon before us. On this particular morning, I was watching Glacier Bay outside, taking in all the sights and while eating breakfast on our balcony. I had crab for breakfast along with the most delicious smoked salmon and quiche. What an amazing way to start the day. After returning home, I’ve thought of that quiet moment on our balcony enjoying breakfast several times. I’ll admit, the crab I ate for breakfast has danced around my head quite a bit too. It was very delicious. 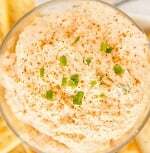 With that crab for inspiration, the team here at Spaceships and Laser Beams and I came up with this crab dip recipe. We LOVE this easy appetizer.. so delicious! Can I use imitation crab instead ??? yeah this is so simple appetizer recipe – Thank you! Do I have to use cayenne pepper? Is there another substitution? Thank you!! You can leave it out if you would like to. I think it adds a great flavor. Enjoy! What about adding horseradish in lieu of cayenne? Best dip EVER! Made it with a bread bowl instead of crackers and was a success!